Today, interconnectedness is not only everywhere, but it is almost everything. It also enhances the way we can collaborate. 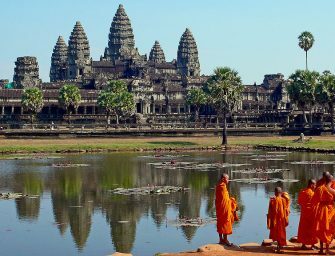 We have to deal with producing goods/offering services in a more collaborative manner. Collaboration plays a vital role in achieving our goals (increasing profits and welfare/well-being via offering value-added products/services to our customers through co-designing, co-creating, listening to feedbacks, entertaining each other, making our lives better through new types of services etc.). Alone we are smart, together we can be brilliant. Today’s 5 key watchwords are: Business, Research, University & Civic Collaborations. 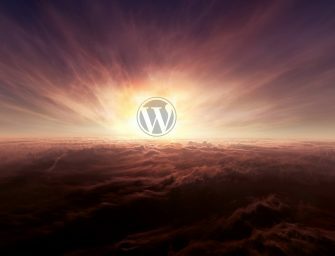 The following WordPress themes are highlighting the collaborative platform feature of WP and these themes are opening new dimensions to project management by connecting your people every day together. 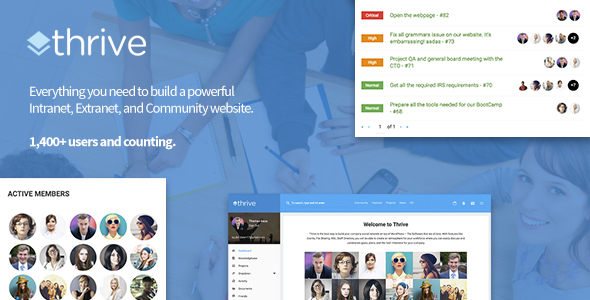 If you want to bring your staff, members or users together with the most comprehensive Intranet, Extranet & Community WordPress theme, the fully responsive and 100% translatable Thrive WordPress Theme is a smart choice. Thrive is a mean of creating collaborative online community, where the functions of social networking, messaging, forums, events, project and task management, file sharing, e-commerce and even e-learning are all available. Thrive makes your members able to easily share messages, files, events, tickets and forms, to neatly edit and collaborate on documents, and to smoothly manage files and projects. For a secured login for members, a private site option is offered as well. The most excellent plugins you also get with Thrive are: Visual Composer, BuddyDrive together with BuddyDocs, Gears, rtMedia, Revolution Slider, Visual Form Builder, Project Management, WP Polls, Events Calendar, BB Press and, of course, WooCommerce. A proper project management consists of allocating various tasks from the big to-do list among participants/members. In this respect, PrimusNote WordPress theme gives you the perfect tool to manage smaller, low-hanging fruits as well as long-term, multi-layered projects. 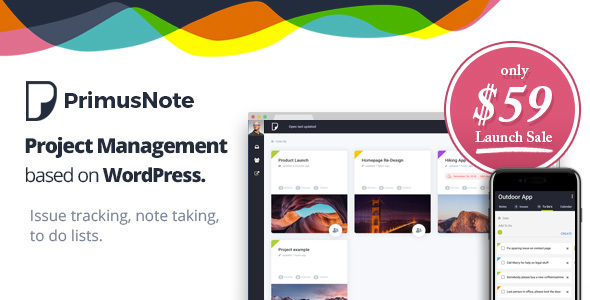 This issue tracking, note taking, to-do list solving theme offers you a perfect project navigating & management tool. The project management is from the frontend, you can create the to-do’s and assign them to any users. Its full blown kanban board lets you know about what has been done so far and what are those tasks and processes still to be done. You can pin down ideas, notes, and you also can attach files to anything. This fully responsive, highly flexible theme is regularly updated, the next big leap will be to integrate a Gantt view as well. 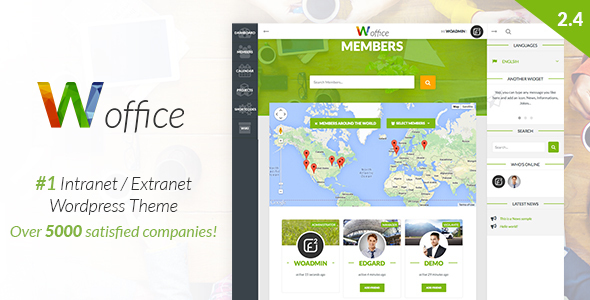 With more than 5000 satisfied businesses, Woffice Theme demonstrated its surpassing quality. It has been recently updated by a new to-do-manager interface with another new 50+ special features. Creating influential and quite convenient intranets and extranets with Woffice will guarantee the success with any of your projects. Woffice offers an advanced login & register page, and beyond the normally expected features (calendar, tasks assignable, files manager etc. ), it also provides slack notifications. Woffice is fully adaptable to a wide range of applications including Business & Government Intranets / Extranets, School Networks or any Community Network and Associations/Charities. 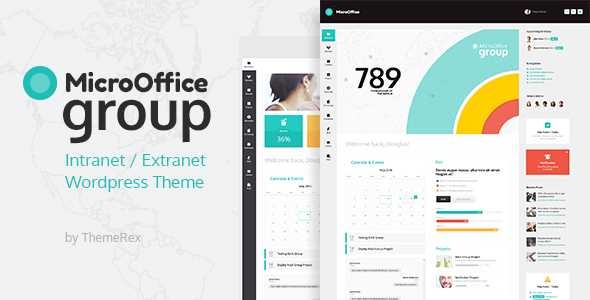 Any organisation can take a big advantage by using this intranet or extranet WordPress theme because of its easy-to-install, easy-to-navigate features. Its dashboard is ready to diplay your events, notifications, calendars, corporate graphs, post and news. Due to the BuddyPress plugin, you can build communities from the scratch within your organisations by embracing your employees/users/clients anyway you just want. It also makes it possible for you to run internal polls and researches, or to share results using various eye-catching graphs. Moreover, Micro Office incorporates tools necessary for example to run online courses for your employees / users / clients, both paid and free. When it comes to analysing the results, quizes and tests are also integrated. There is always a supporting team behind positive change. This team requires space and tool to dwell on issues that creates meaningful and instructive debates. BuddyApp helps you to create a community by embracing partners / members / employees / clients. 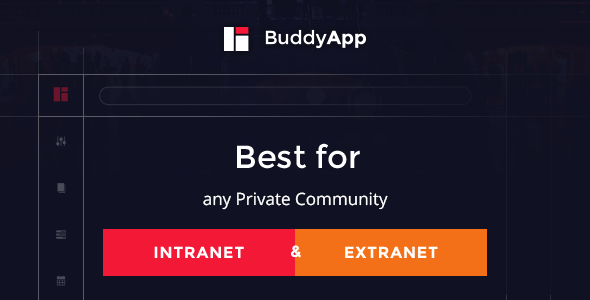 BuddyApp is a novel approach to create any kind of private / public community Intranet or Extranet website. 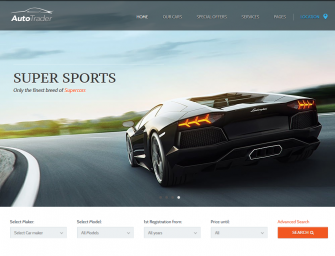 It is a fully responsive theme prodiving a bonus landing page as well. Our most favourite features BuddyApp offers you are: live notification and live chat, live customizer, integrated Ajax search, strong knowledge thesaurus creating opportunity (strong documentation to the product/services offered), advanced file management, optional header locations, rtMedia gallery, forum equipped wirth BB Press etc. 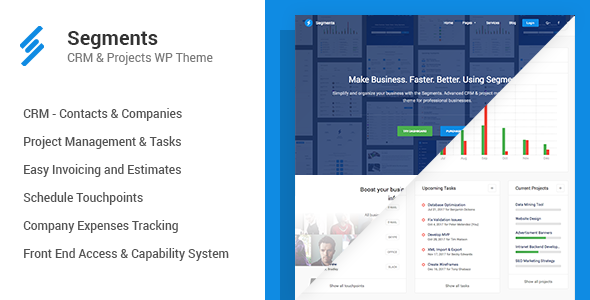 If you are looking for an elegant and fully responsive CRM and project management WordPress Theme, don’t go further. With Segments, unlimited number of members/clients can be assigned to the company. For example, all your employees will be available to access all contacts and schedule meetings which will appear in the calendar as new event. Of course, you can differentiate between all CRM types (person, company, touchpoint) that have their own administration screens, you can do CRUD operations. You can create new projects together with the tasks to be carried out. You can assign the tasks to any people. 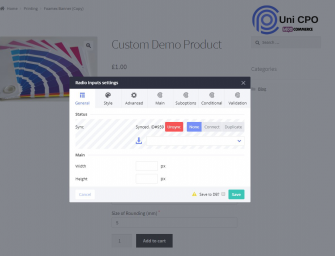 Recently Segments has been updated by the following options: Invoice customizations (custom logo), Mapping products to leads, and Notifications for captured leads. You can collect leads by creating capture form and embedding it on your site. At the end of the day, lead can be convert to customer as well. Segments provides (client zone) access to your users to get a clear picture about what is going on with the currently running projects and the tasks within them. Of course, downloading invoices is also an option.